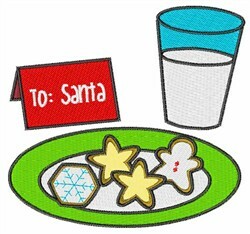 Wintertime brings the memories of yummy Christmas cookies made for Santa. This is perfect for your next design. 1Z Embroidery is happy to present Christmas Cookies machine embroidery design which has 18459 stitches and is [87.83 mm x 88.25 mm] large. If you would like to view more embroidery patterns please search on our embroidery designs page.